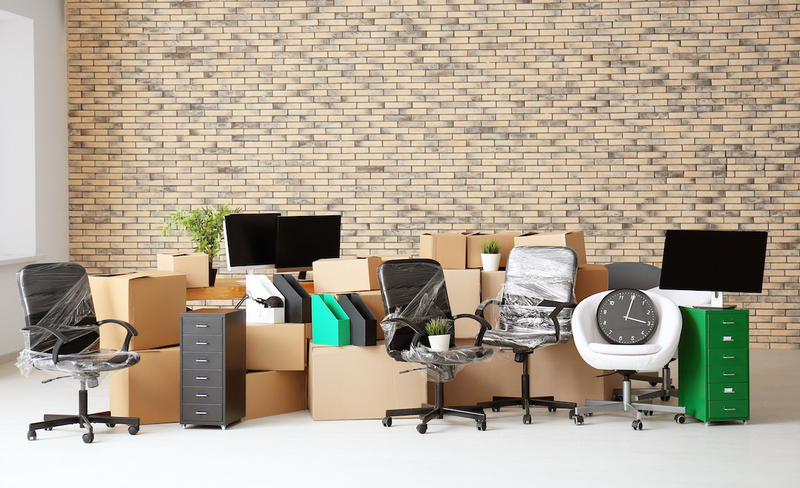 After the excitement of finding a new office space wears off, the panic and stress of organizing an entire office move often sets in. Preparing the old workspace for an efficient move and planning the new office for a quick return to normal work takes strategic planning. There are literally and figuratively so many moving parts to take into account — office furniture and equipment, transitional workflow and employees’ overall well-being. However, if you plan correctly, an office move doesn’t have to be a logistical nightmare. Create a To-Do List. Right after deciding to move offices, create a to-do list. Select a place in the old office to plan and organize the move. Keep all move-related documents in this condensed space. It’s also a great place to organize other key documents, like contracts, records, insurance information, etc. Finaly, plan a moving budget. Announce the Move and Talk to Employees. After gathering your thoughts and creating a master plan, let your employees know what to expect in the long and short term. Once they have some time to process the move, talk to them about what they ultimately would like in their new space. This is a perfect time to bring up sit-to-stand desks, new chairs and various other equipment needs. Create a List of What You Have and What You Need. Think about what you want to bring to the new office and what you would like to replace. Think about what your employees mentioned in Step 2. Keep your budget in mind. Determine Move-Related Workflow. Moving offices and staying productive is difficult. Encourage managers to create team plans, while keeping important deadlines in mind. Remind them that this is a difficult time to take on new projects, and that is perfectly okay. Create a Moving Committee. Recruit a volunteer moving committee. Decide who will help with planning, packing, unpacking, organizing and making the new office feel like home. Determine who you need to hire to help with the move. Hire a Moving Crew. The moving crew will ultimately decide your timeframe. Find out how much time they will need to finish the move. At the same time, plan loading and unloading spots. Start Packing. Start packing as soon as you can. This will make the move less overwhelming. Start with rarely used items and go from there. Make sure your boxes are labeled correctly and as detailed as possible. Talk to Employees Again. Let your employees know where they need to be and what is expected of them during the actual move. At the same time, make sure you provide them with access to the new building. Make Sure Utilities Are Set Up. Pack the Absolute Necessities. Pack the items you use every day, and the items that are necessary to carry out the bare minimum of work. Unpack. Start with the items from Step 10 and go from there. Celebrate! Plan a celebration to thank your employees for their hard work and understanding during this transitional time. Finally, enjoy your new office. To alleviate even more stress, contact us to provide a seamless and hassle-free transition to your new office space. We provide office relocation services to and from cities all across Iowa.